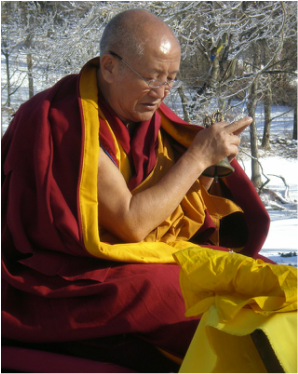 ​We are extremely honored to have Gyumed Khensur Rinpoche Lobsang Jampa teaching at Ocean of Compassion. 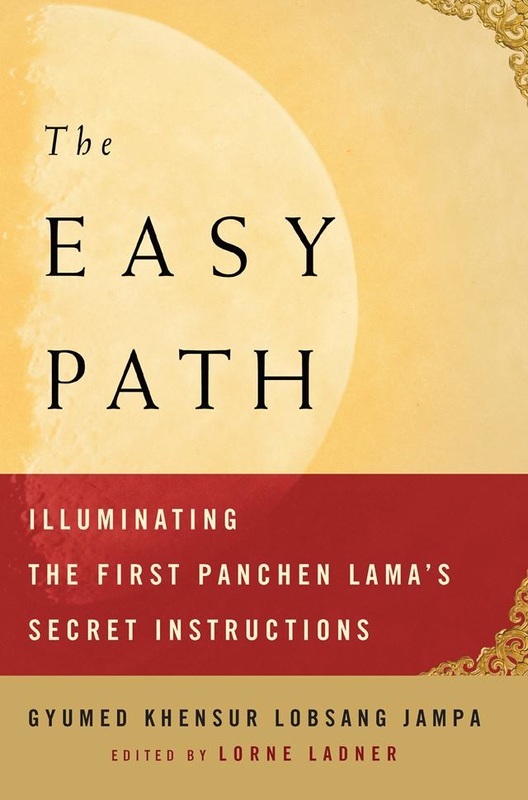 Rinpoche will be teaching from his book, The Easy Path: Illuminating the First Panchen Lama's Secret Instructions, which makes available for the first time in English, the First Panchen Lama Losang Chokyi Gyaltsen's Easy Path (Delam), a text nearly 400 years old. The text is considered one of the eight great lam-rim texts, and part of a lineage that comes from Lama Tsongkhapa (1357–1419 CE) down through Gyalwa Ensapa (1505–1566) to the First Panchen Lama (1570–1662) and eventually to our modern day through Gyumed Khensur Rinpoche Lobsang Jampa. A number of books in the past have explained how to meditate on the stages of the path, but Rinpoche's volume of The Easy Path is unique in that it integrates visualizations from highest yoga tantra, guru yoga, and the instructions of the oral tradition within the contemplations of every single stage. Also, from the initial meditations on the precariousness and immense value of human existence, through the contemplations of how we perpetuate the cycle of suffering, to the highest teachings on the practice of universal compassion and the empty nature of phenomena, The Easy Path leads practitioners step by step through the journey to enlightenment. As one of the last generation of Tibetan Buddhist scholars to begin their educational careers in Tibet prior to the Chinese invasion, Gyumed Khensur Rinpoche Lobsang Jampa has played an instrumental role in the reestablishment and preservation of Tibetan Buddhist traditions in exile, and in the spread of Tibetan Buddhism to the Western world. Highly regarded for his scholarship and depth of religious practice, Rinpoche teaches frequently in New York, Washington D.C., and at Do Ngak Kunphen Ling (DNKL), a Tibetan Buddhist center in Connecticut, where he hosted a visit from the Dalai Lama in 2012. He is abbot emeritus of Gyumed Tantric College, head of Mey College’s Thewo regional house at Sera Monastery—one of the largest Tibetan monasteries in exile—and Spiritual Director of DNKL where he resides. Those interested in sponsoring these precious teachings, please visit specific sponsorships here.